Story and Just do It. I live my life as a story. This is not a unique way to live. In fact, I would guess that every human being does too. We all are born with an inherent desire for meaning and connection. This is reinforced by human society which always points us towards the imposition of meaning onto any event. There is a logical fallacy that arises directly from this impulse, “Post hoc ergo propter hoc.” In plain English, “This came after that, therefore this caused that.” We immediately draw conclusions based on the sensory data with which we are presented. We write stories in our minds about what must have happened to cause the events that we experience. When we talk about our lives, we have an order to events and a commentary (internal or external) that connects us from where we have been to where we are. One of the most terrifying experiences is losing that connection, wondering, “How did I get here?” Movies like the Breakfast Club emphasise this aspect of defining our identity. The characters spend their Saturday in detention attempting to discover who they are through the stories they tell about their lives. These two examples are over-simplified, but they come from the story each person tells about their lives. Too often in the “digital” age we are experiencing others through the stories they attempt to tell about themselves. We don’t encounter people, but their images and words meant to portray a certain idea and provoke a specific reaction. Even worse, we only encounter a character in the TV show we binge watch for three days. We are immersed in stories that are shadows of reality. We watch friends playing a board game and making fun of each other or people dating and attempting to connect romantically or applying themselves and beginning businesses or pursuing their dreams. These stories are powerful images because they are echoes of the lives we could, or even should be leading. We live the lives of others from a couch instead of experiencing our lives and creating our stories. Of course our stories about ourselves tend to get confused or mired down in a war of comparisons! We are constantly engaged by other people’s make-believe. Stories have the power to change the world. Books, movies, TV, theater, images, music, and art are all mediums for the most important and human work being done on the planet. We should be plugged in to the excellent stories that are being told around us, but we should also unplug and live our own stories. Content saturation produces a false feeling of accomplishment, but take a walk in the woods on a brisk winter day and you will immediately begin to quiet your soul and reconnect with your agency. In fact, “agency” is the key to this concept. When you begin to lose your ability to act on the world and affect your story, or when you become too complacent with the half-worlds of portrayed in media to seek change in your own reality, that is when we lose our ability to be the story makers we are meant to be. There is nothing more insidious than the 9 to 5 job that you escape from by coming home, sitting on the couch with your wine and watching Netflix. This is often accepted as the appropriate way of living our lives. We become the secondary characters in the story of our company or our city or America. We are meant to be focal points of meaning and beauty. This can be done in simple ways. Get together with some friends to have coffee and talk and laugh. Write that blog post that you started and ditched out of fear or busyness or slothfulness or apathy. Go to church on Sunday instead of catching the satelite stream from your home or listening to the podcast in your car. Join a charity or small group or community sport league. Nike has a brilliant slogan that never ceases to engage my theological cogs: Just do it. Maybe I am ringing an old bell that has been sounded in alarm for years in movies like Fight Club or Office Space or The Matrix, but then why are there still so many people living in a shadowy existence of escapism and apathy or fear and facebook stalking? There is a story out there. 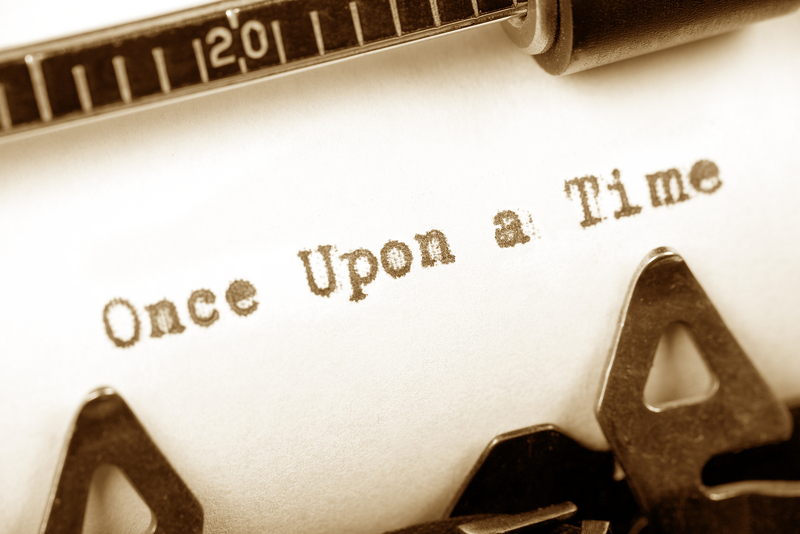 There is a story just for you. God is inviting you to co-author it. And your story, it will be apart of the redemption of all-creation. Step one is to get out there and just do it.